Somewhere between the mince pies and Just Brazils of the recent past and the firework-ravaged pets of the near future, lies today. Not sure what it is really – heavy frost, fridge only half full of beer? Could be Thursday? Adrift in the festive vaccuum, the only option was to round up the unit, so with the cattle prod fully charged I collected Trops, Neill and Bazzo and we headed to the marsh mid-morning. We weren’t that shambolic, although one individual who shall remain nameless had to be dissuaded from heading out in his slippers. No names, no pack drill. Most of Marshside One was frosty and icy still from Hesketh Road, with Sprawk spooking the Wigeons and small gull roost toughing it out on the ice. There were just a few Pinkies easily viewable on the outer marsh, most were too far away and too deep in the vegetation, so we moved up to the Sandplant after a check from the bottom of Hesketh Road. Nice bright sun, and what sounded like a Rock Pipit over Sandgrounders. 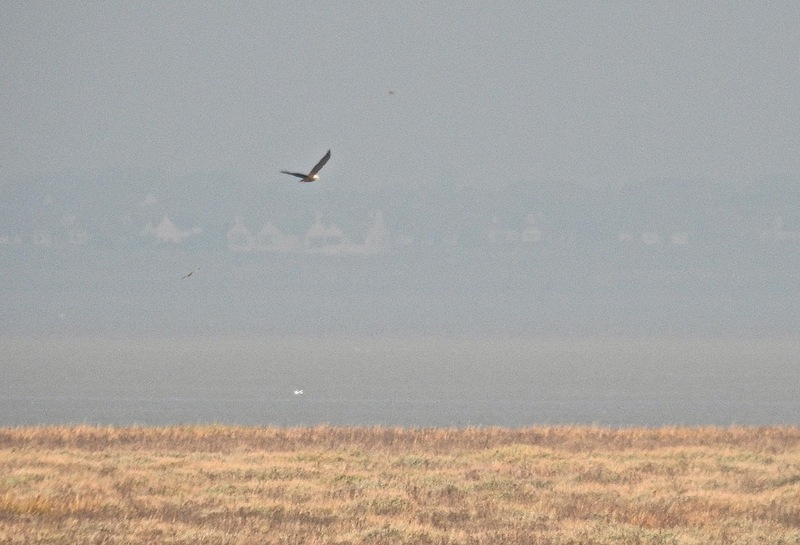 The Marsh Harrier was quartering the outer marsh, where a big fat female Peregrine was perched up, her pale underparts shining white in the sun. Merlin and Kestrel were hunting but most of the geese were too far out on the marsh as we pushed up to Crossens. Neill picked up the Great White Egret there at interstellar range. It was nearer to Lancaster never mind the Fylde, while Trops scored with a fine Short Eared Owl, mobbed by corvids until it flapped off high inland, before swinging round and steaming back to winter quarters remarkably quickly. It pitched down into the marsh again before the crows could catch up with it. Two Buzzards, including one very pale bird, were mooching about out past Crossens Channel too. Yup, I think they’ve nailed it – follow the festive advice above from the health and safety executive south of the Equator and you should be fine. Admittedly it is H&S from the petro-chem badlands where I probably shouldn’t have been pointing a camera, but there you go. 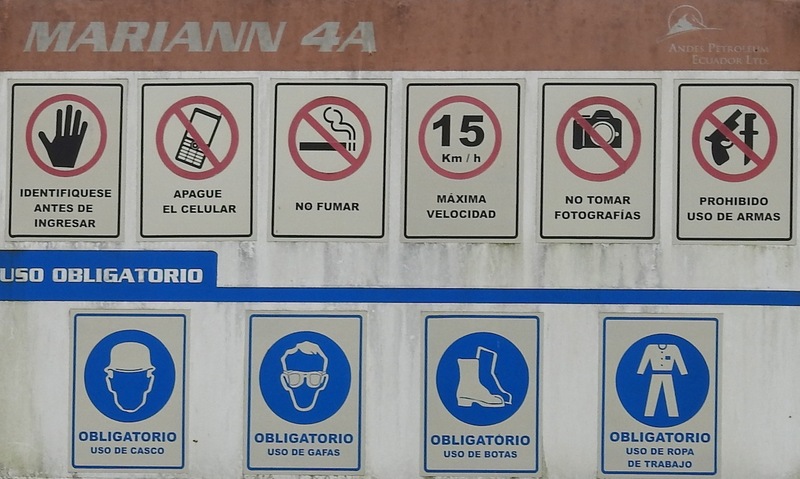 No phones, cameras, guns or knives, no more than 15 drinks a day (I think that’s what it says anyway), always remember to wear a hat, glasses, troosers, shirt and shoes in public, don’t smoke or poke fun at Hoatzins/waste Guinness on Toucans, and above all have fun. Thanks to everyone who has taken the trouble to read the blog in 2016, and all who have left comments, I hope you enjoyed it, your support was greatly appreciated. Wishing you all a spiffing season of festivities. I’m off to do me Christmas shopping now, once I’ve watched “The Vikings” AND “Jason and the Argonauts” – does it get any better???? Don’t worry, I’ve checked and the petrol station is open till 10pm so I should be fine – they do say the secret to a successful Christmas is in the planning after all. Updates on the Ecuador blog possible over the next few days, depending on how much of the H&S I manage to follow myself. All very ho ho ho. 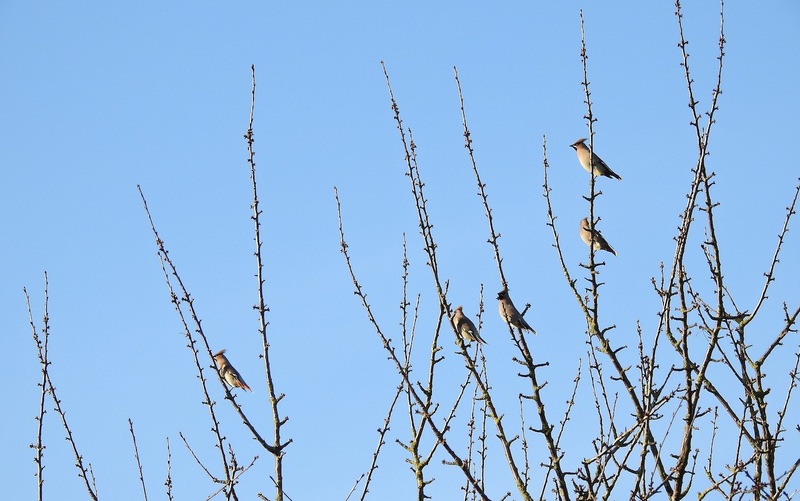 Well, you can’t ignore a flock of eight Waxwings just down the road can you? 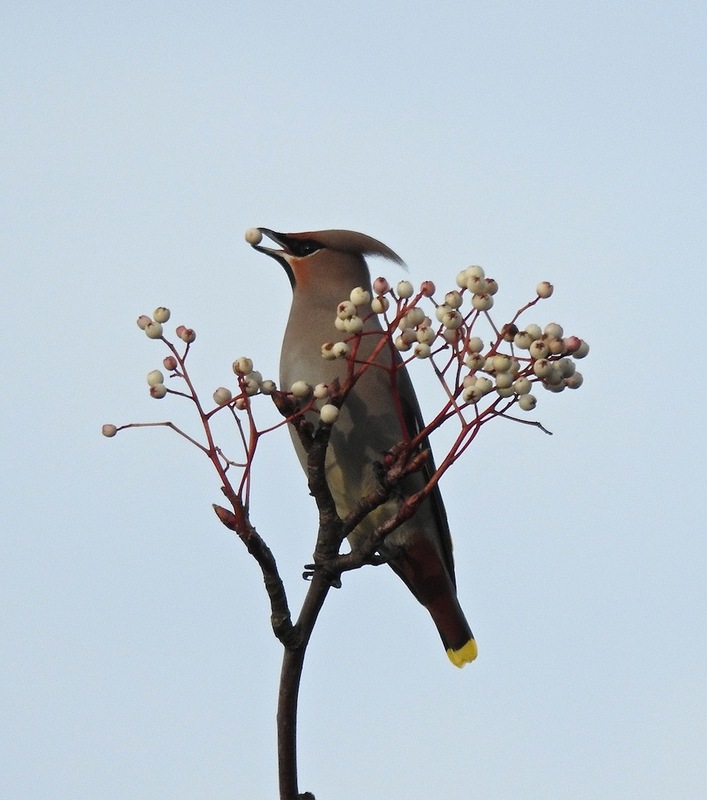 I drove over to Ormskirk this afternoon and parked up at Morrisons supermarket amongst the Xmas shoppers, then walked down to the perimeter wall to look across the road at the trees the Waxwings are feeding on. The birds were trilling away (always a buzz to hear them before you see ’em) and occasionally headed off on short circular flights, usually when folk felt the need to stand right under the tree they were resting in (I feel your Bookface pain Clarko), or the comings and goings of Coronation Park got too noisy. By standing at the edge of the supermarket the birds came right down to feed on the berry-heavy branches in the afternoon sun just across the road, and as you are sheltered by the high brick wall they showed very well. 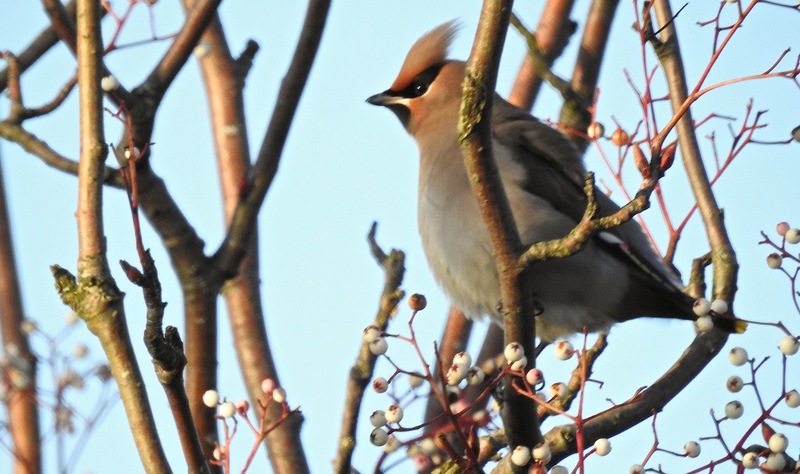 The Waxwings didn’t seem at all bothered by the car-mageddon queues developing in and out as festive consumerism ran amok, but it was lovely seeing shoppers getting a thrill out of the birds – everyone who showed an interest enjoyed ’em – and why wouldn’t they, Waxwings are stonkers! 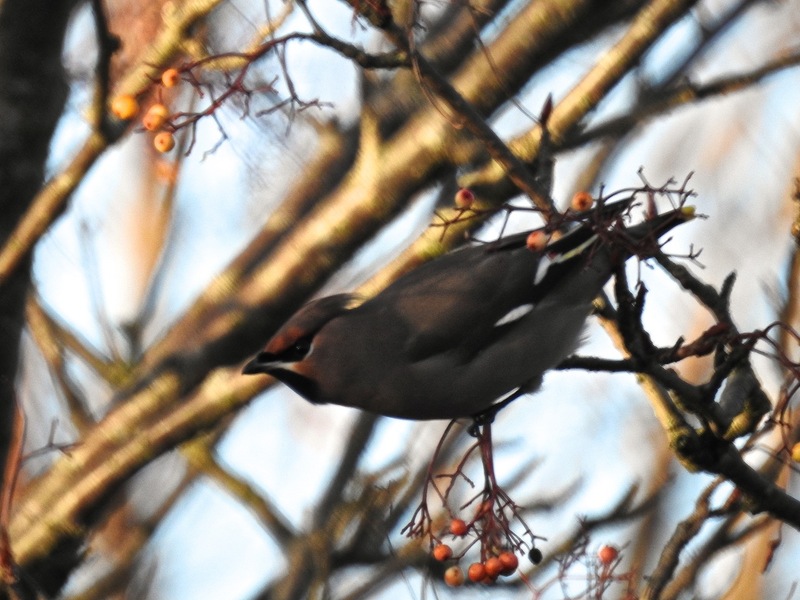 Five Blackbirds seemed to be trying to hold feeding territory around the trees but it was futile – I couldn’t blame them when you saw how some Waxwings may already be overdoing it in the festive excess stakes. It all seemed perfectly straightforward beforehand – nip down to Marshside at lunchtime, catch up with Colin Bushell’s blue morph Lesser Snow Goose from the Hesketh Rd platform, nip home, pick up a pair of antlers (don’t ask) and be back in time for the Natural Alternatives Christmas Party at work. But the goose had other ideas and was nowhere to be seen for about 20 minutes as I ‘scoped the marsh from the platform at 1230. Given the fact that even blue morphs have great big white heads, and are usual fairly obvious, it was all a bit disconcerting, until I suddenly got a glimpse of its snowy slaphead at the edge of one of the dips north of Wheatear Corner. It was out of sight most of the time, either hidden by grazing Pinkies or down in the dip – it was time to change position. I popped down to the corner and got marginally better views from the road as it preened amongst the Pinkies. 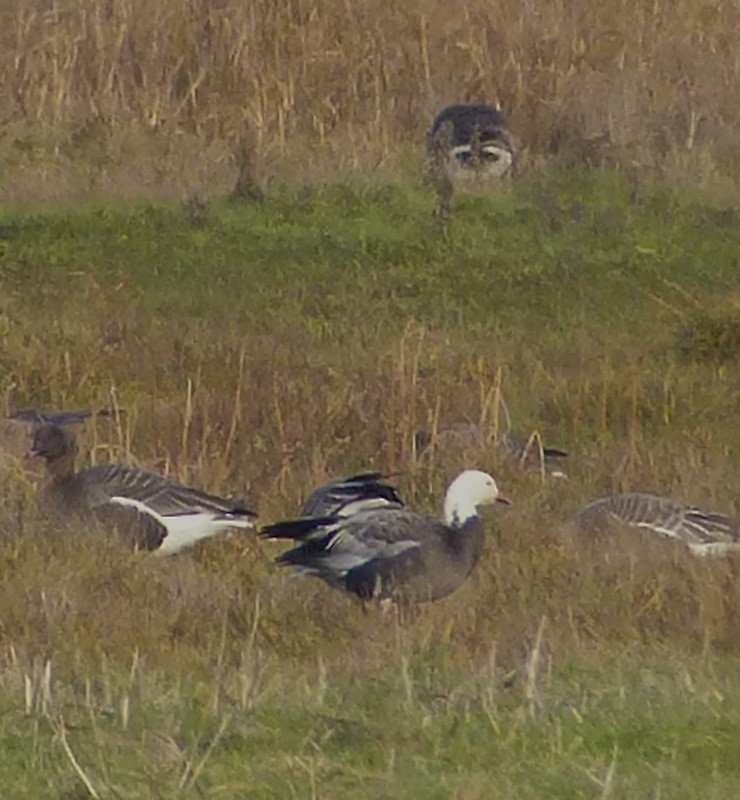 Always good to see a Snow Goose, especially one that looks “okay” in a purely non-judgemental plastique sense of course. Mrs D was fiddlin’ with the Southport String Orchestra this afternoon at St Stephen’s Church in Hightown, so it was all hands to the pews. Skipper Rothwell’s wife also plays with the group, but he was more vigilant than me on the way into Hightown, picking up a Cattle Egret amongst the sheep on the south side of North End Lane. Luckily the Christmassy carols and lovely music ended mid-afternoon, cake was scoffed and tea was swilled, and I was able to spot the little white chicken opposite Moss Farm garden centre in the last of the fading afternoon light at about 4.15pm as we drove away from the concert – presumably one of the birds that have been hanging out at Marshside, but these days, you never know. 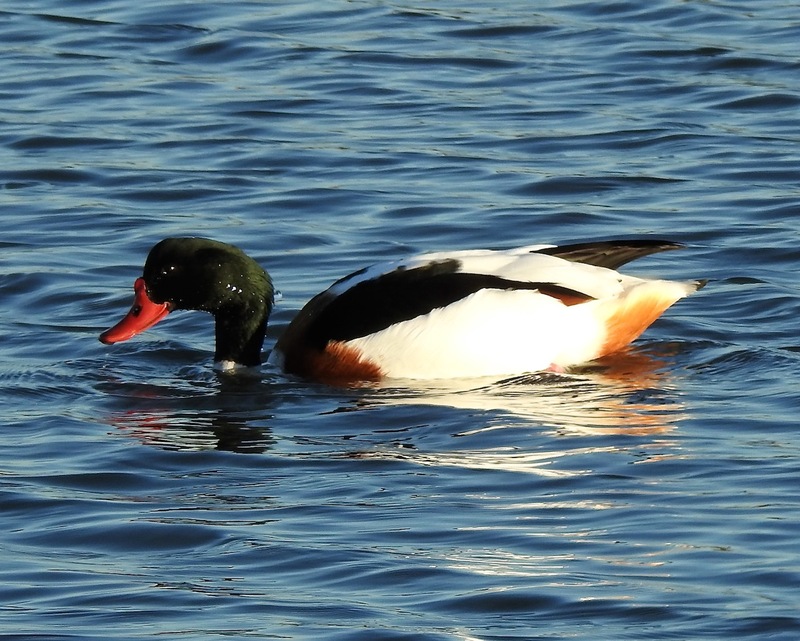 When I got back to Dempsey Towers, Phil Smith had already raised the alarm on the blog – many thanks Phil, and thanks for the pics of the bird here too. 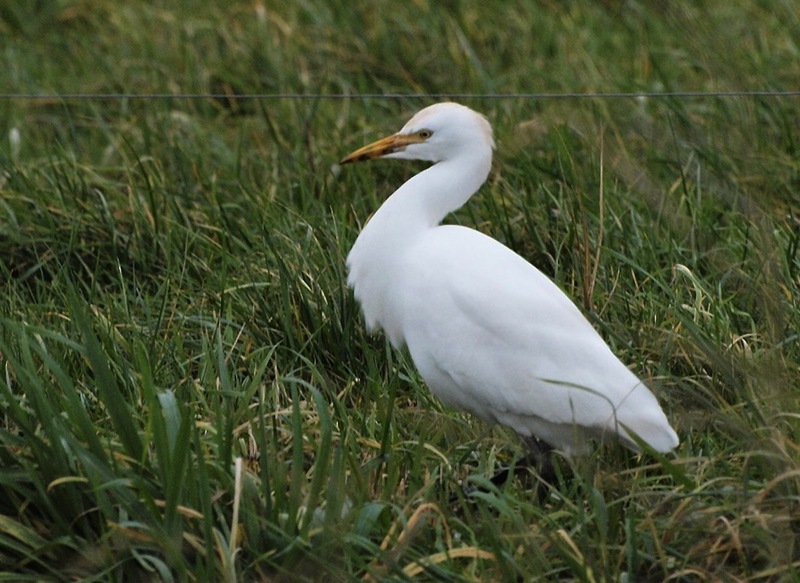 Phil explains: “I was alerted yesterday by Tim Vaughan to a Cattle Egret in a sheep field south of North End Lane near Hightown, not far from the small garden centre at Moss Farm. 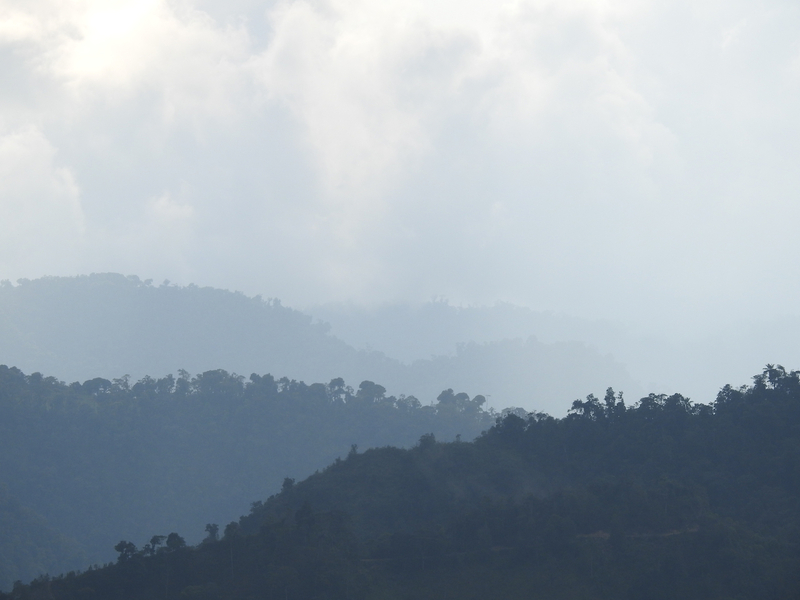 “This afternoon, it was right next to the road, completely ignoring the traffic. Very poor light unfortunately”. There is an inevitable corollary to weeks enjoying dazzling birds in stunning rainforest or high in dizzying Andean peaks – sooner or later you have to do Plex again in the winter gloom. But it was safer than spending the afternoon at Dempsey Towers, where a Yuletide minefield of Christmas lights, tinsel and all things festive, made it a dangerous place to tread in my usual clumsy manner (it looks great Mrs D). Back out on Plex a feeding flock of about 5,000 Pink Feet on the rich, sodden Lancashire soil west of Plex Moss Farm were too close to resist and I ‘scoped them for about 45 minutes this afternoon as what little light there was began to fade away. 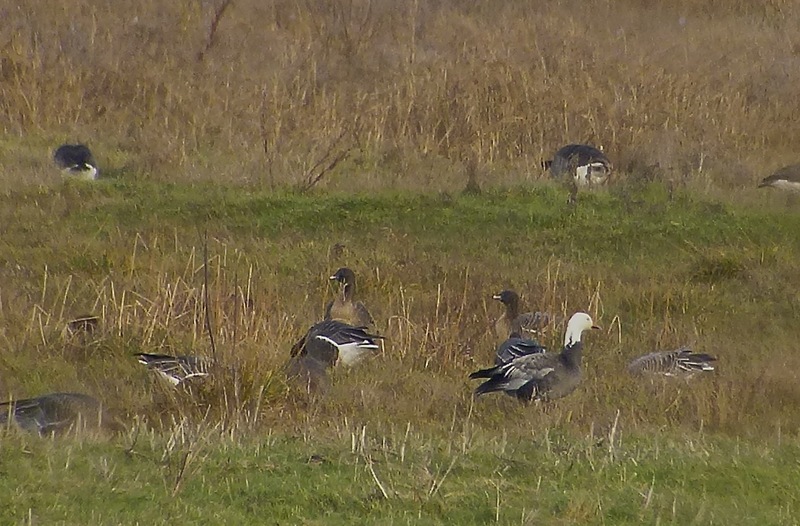 Even though most of the geese were caked in mud, soil and drizzle, I’d hoped to pick something out of them, something better than this single Barnacle Goose anyway – but it was better than nothing. That’s the way it goes sometimes. 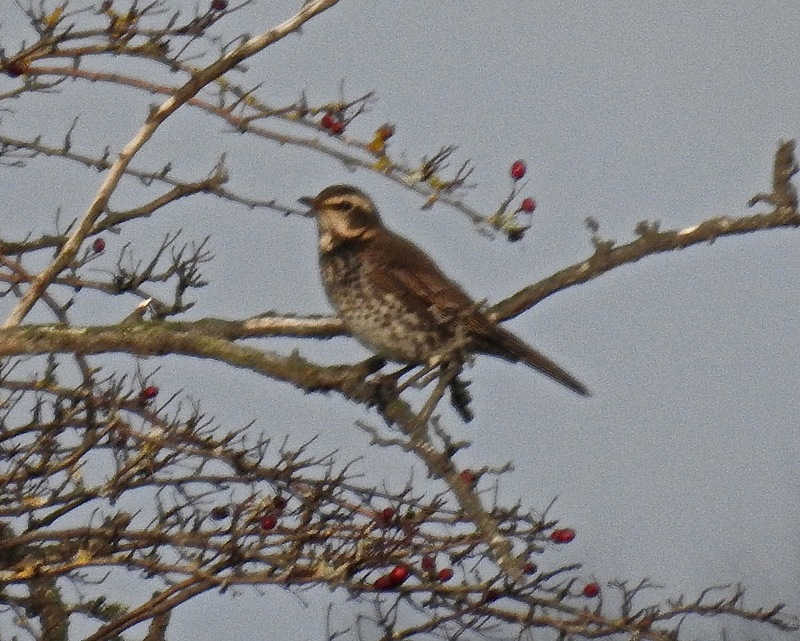 Up to 300 Starlings flocking out there too, and good numbers of Blackbird, Redwing and Fieldfare (120+ combined), which a Sparrowhawk scattered with its usual efficiency. *Birding Ecuador 2016 is slowly filling up – please give it a read and let me know what you think. I picked up Bazzo (great to see him out in the field again) and Alan Wright and pulled out of Southport for 7am-ish today, just in time to enter the yawning maw of the M58/M6/M56 rush hour and grind very slowly south eastwards towards Beeley in the Peak District. 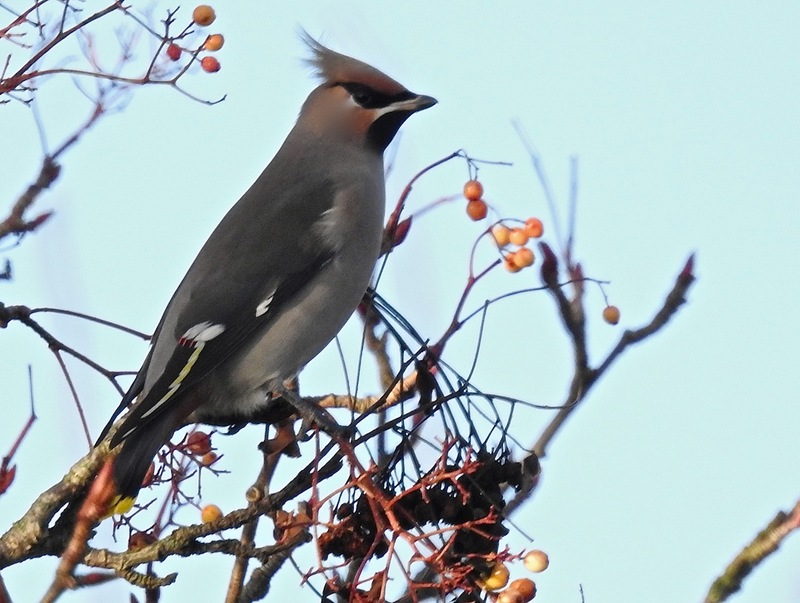 Grey, damp drizzly conditions and clouds of car-poo created a depressing December fug, so that most of the smaller towns on the southside of Manchester looked like the type of places where Waxwings came to die. 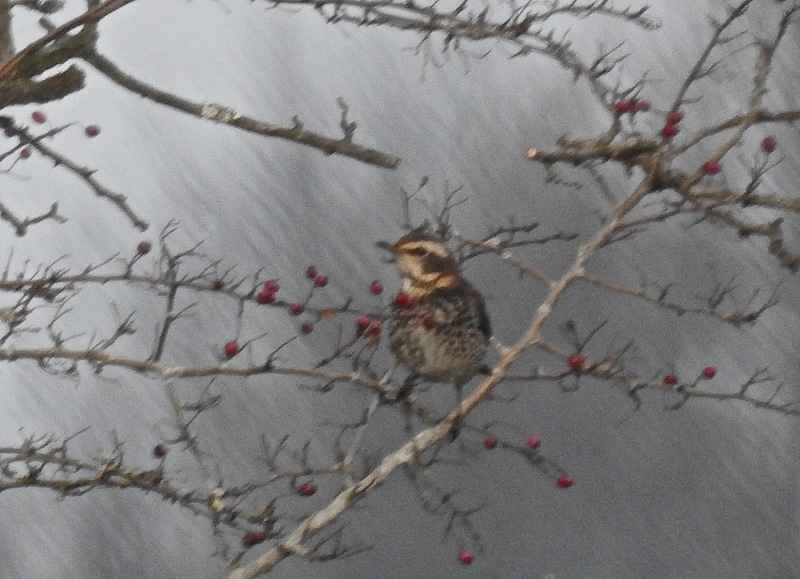 We pushed on and I pulled into Beeley just over three hours later, nabbing the last parking space at the excellent Dukes Barn Outdoor Activity Centre, where quite splendidly the lingering Dusky Thrush was feeding in the wet grass in the orchard behind the building in the murk. Fine views of it on the deck – a really striking critter, with a lightning strike super and surprisingly dark chest and paler undercrackers. 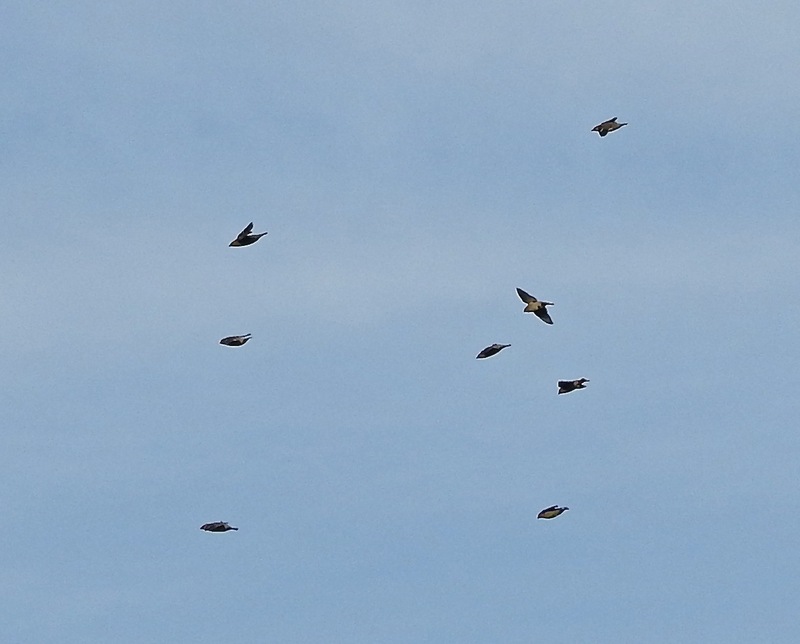 Suddenly it flew off over the rooftops of the village, calling like a particularly soft-voiced Fieldfare – more “chuck chuck chuck” than “chack chack chack”, but still loud. 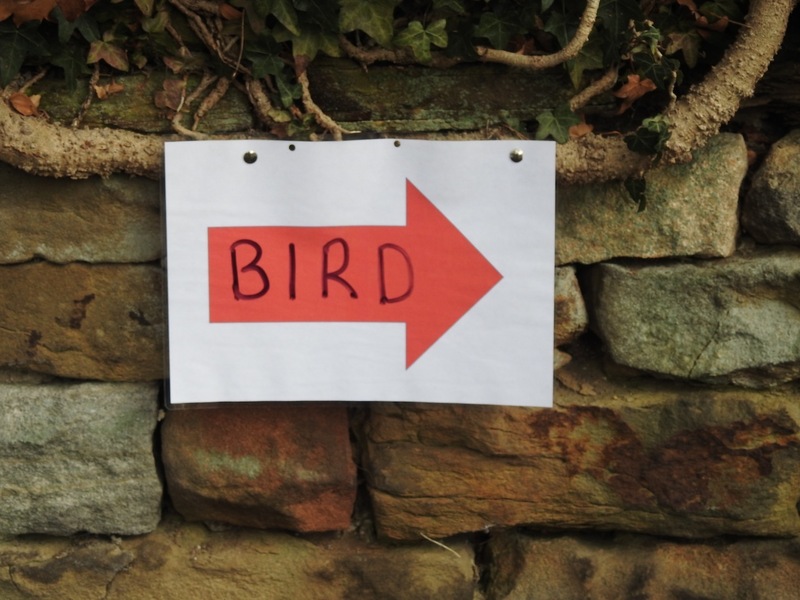 We waited for an hour or so in case it returned, but then it was relocated by one of the 399 other birders wandering round the picturesque Peak District village (pretty, but oddly difficult to find the road out of….very Royston Vasey) feeding in hawthorns in fields down Pig Lane. We had great views of it perched up there – scope filling, and in many ways looking a whole lot better than it did on the deck – what a face…and look at those chainmail underparts. 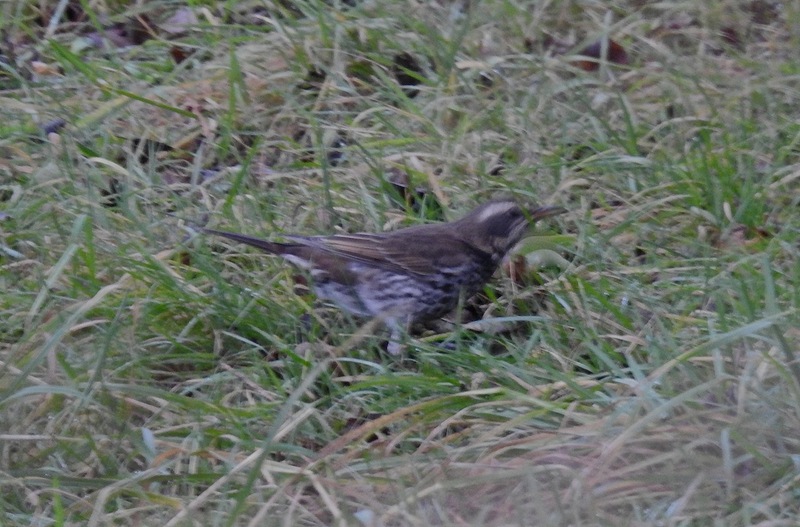 Usual dire photographic efforts from yours truly, but I was there for the bird, not the picture. We were done by 1230 and I drove back home up considerably quieter roads, getting into Southport by 1445. The smell of gas and the sound of geese…and raptors. The blue skies and bright sun lured me out and down to Marshside mid-afternoon in a bid to ease myself back into winter. 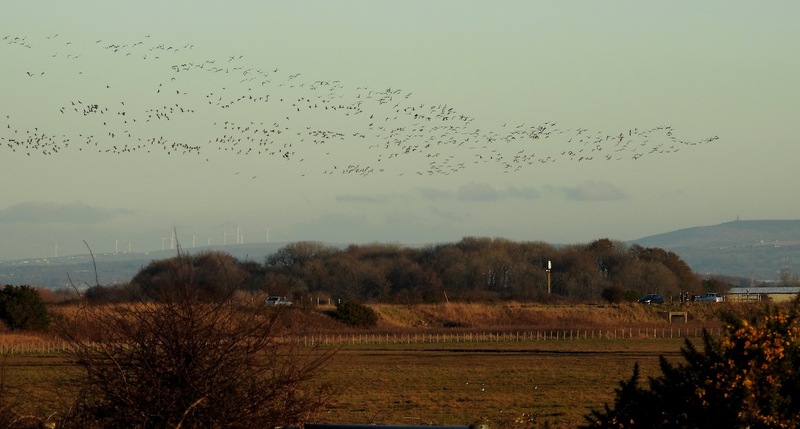 Thousands of Pinkies up at Crossens Outer, but while they look cool wheeling about, you need ’em on the deck to work through, and while the birds did pitch down, they were a bit too far off to ‘scope effectively. It didn’t stop me from trying though, as Little Egrets, Wigeon and Teal buzzed about as I got re-acquainted with familiar smell of carbon monoxide and the drone of engines. 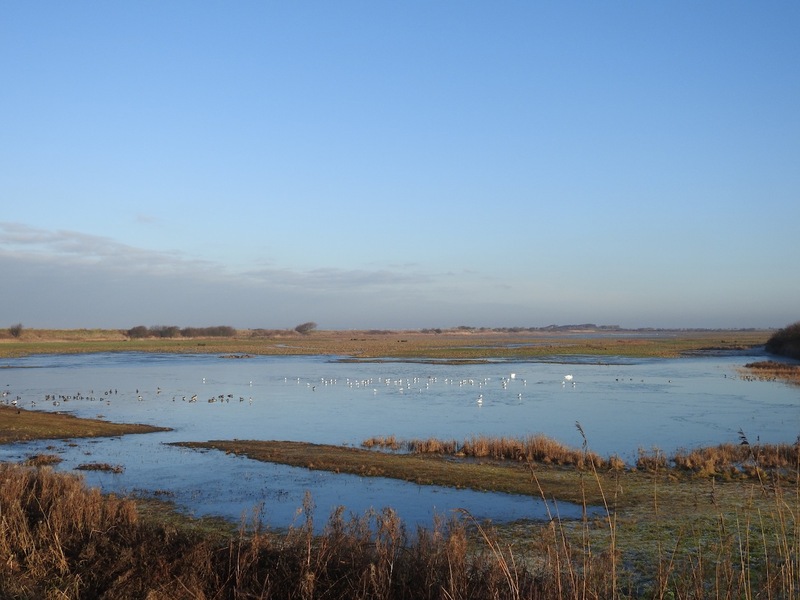 The Golden Plovers on Crossens Inner and Marshside Two were frequently freaked by Merlins, while Mipits and Skylarks got the same treatment on the seaward side. Actually raptors were pretty good for a quick afternoon stroll – a fine ringtail Hen Harrier (seemed a small one, a male mebbe? it was a fair distance from me, although was hunting quite close to the road); Marsh Harrier on the edge of the vegetation north of the Sandplant, two Merlins, a Kestrel and a Peregrine. 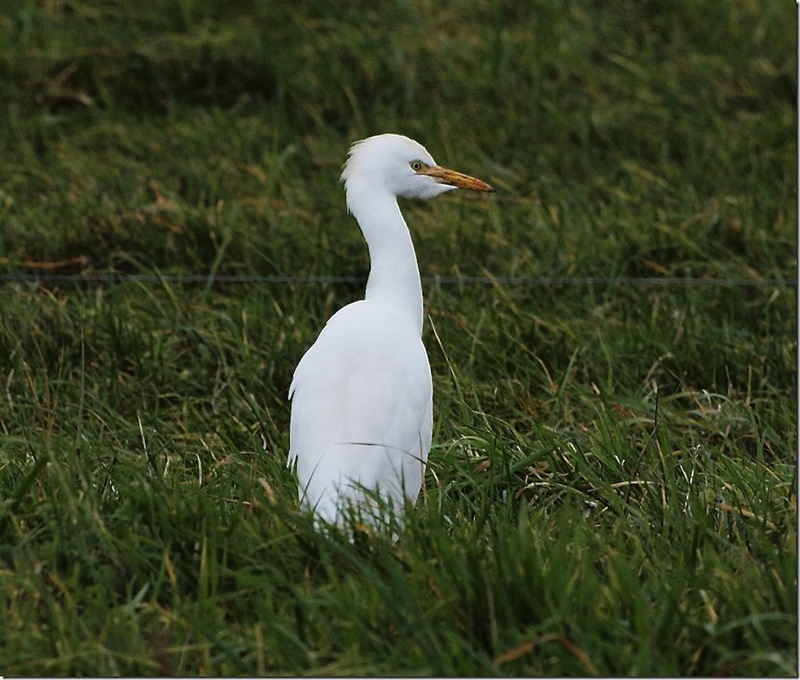 Couldn’t see any Cattle Egrets though, perhaps they were sheltering from the cold somewhere sensible. 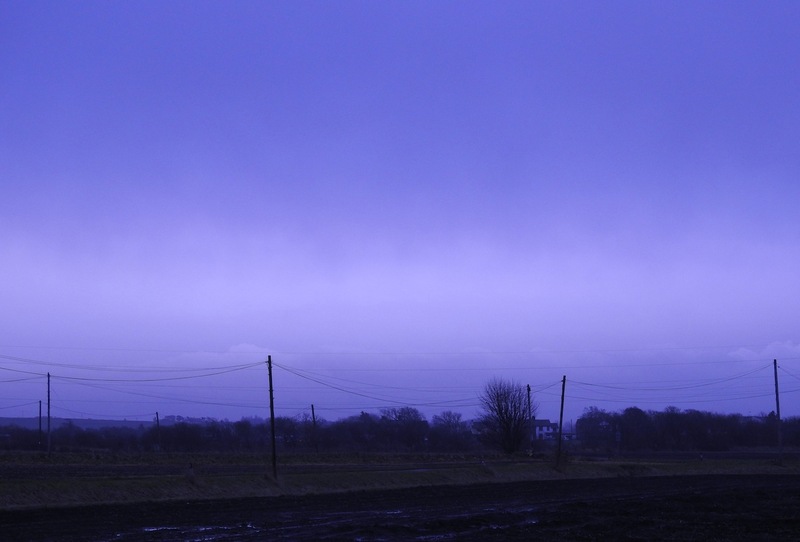 Raw cold, grey Saturday skies _ I’m not going out there. Far better to push on with this site’s sister blog, the imaginatively titled Birding Ecuador 2016, which over the next few weeks I plan to fill with blurry pics of colourful neotropical birds, beasts and landscapes that Trops, Mike, June and I bumped into over the last month south (and north) of the Equator. Hope you enjoy it… the link to the thing is on the right too. I may even venture into the grey outdoors here again tomorrow – if I can find sufficient thermals and a stash of spray paint to brighten up our birds.